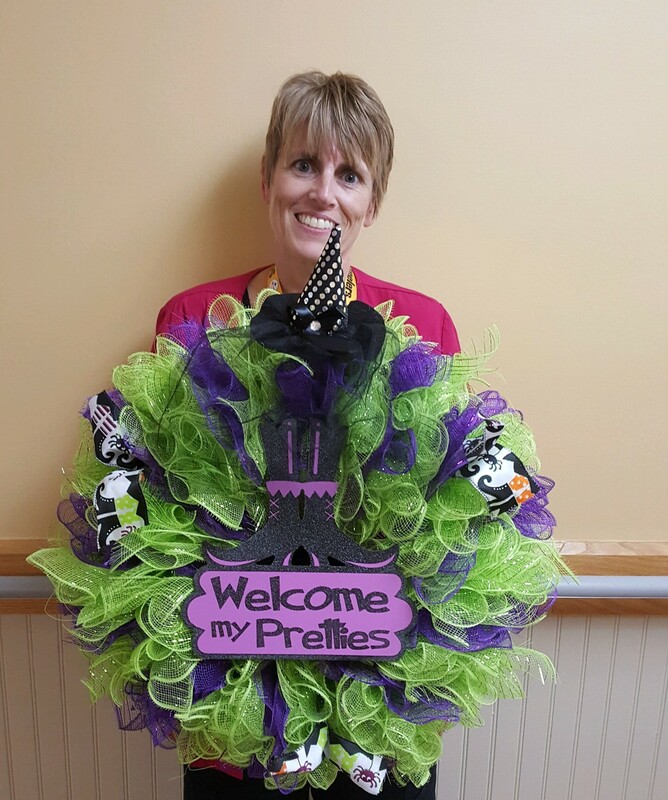 Angie Noble is a Registered Nurse for Signature HealthCARE of Coshocton. 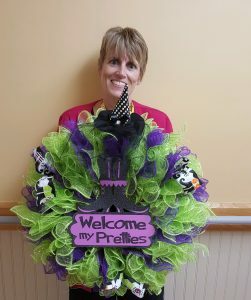 She was the lucky winner of the Witches wreath that Sheri Sharier “QOLD” made to raffle off to make money towards our Christmas funds. Congratulations Angie!